Fix-O-Fit Herbal Anti-Dandruff Shampoo, No Paraben No Sulphate, 150ml. Gently removes dandruff, Nourishes and strengthens hair roots, ensuring a healthy scalp. Excellent for all hair types complete and long lasting solution to Dandruff and Hair Fall problem. Provides Natural Nourishment & Natural Protection Powerful Antiseptic, Fungicide & Germicide. Effective for Itchy Scalp - Reduced build-up of warm tones in highlighted or cool-toned hair. Decreased dryness and frizz - Reduced splitting of hair - Normalized production of oil in your scalp as there are no chemicals drying it Longer color retention if you dye your hair. World Wide shipping is in 3-4 Days. Fix-O-Fit has been dedicated on hair concealer products which is an ideal solution for hair. Our products are used by many professional makeup artists. We have a unique range of hair concealer products which can be used by any men or women having thinning hair line.It has created a revolution in hair thickening industry. It avoids drying of hair and provides nourishment; acts as a conditioner to leave your hair smooth and shiny. 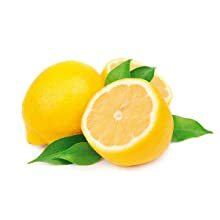 Lemon's acidity helps to balance the pH of your scalp that helps keeps dandruff away. 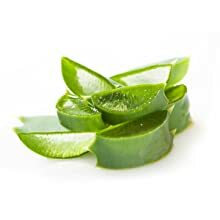 Aloevera softens hair and soothes the scalp that helps in relieving from itching. It penetrates deep into the scalp and hair to give you beautiful and glossy look. 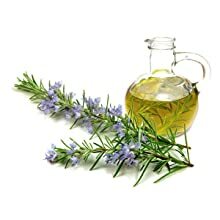 Rosemary is best known for its growth-boosting ability when it comes to hair care, Using rosemary as a leave-in conditioner will leave your hair feeling soft and frizz free. 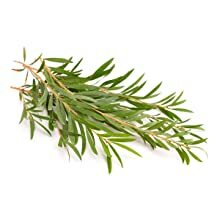 Tea Tree Oil is a well-known anti-fungal agent which effectively avoids dandruff. It moisturises hair and helps to unclog hair follicles and nourish your roots and tips. Q: How many times a week should I use? A: You can use twice or thrice a Week. This product is designed as an ultra-light weight, leave-in conditioner for those seeking more hydration throughout the day or to help with next day styling. Q: What are the benefit of using Sulphate Free Shampoo? 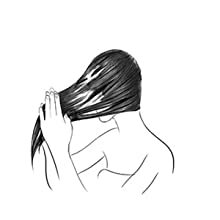 A: It decreases dryness and frizz from hair; it also reduces the splitting of hair. Q: Is this compatible for the Sensitive Scalp? A: Yes this can be used by the people having sensitive skin as it has all natural ingredients like Aloe Vera, Tea Oil and many more. Q: Is this Shampoo Harsh On Hair? A: Our hair products are always tough on dandruff and gentle on hair and Scalp. Q: Is the shampoo beneficial for colored hair? A: Absolutely! It does not allow the color to fade away, it always ensures to stay closed to help lock in color. My dandruff problem solved in just 10 days. There is no risk of allergic reactions as this shamoo contain all-natural ingredients. 1. Dry and style hair as usual. 2. Shake or spray Fix-O-Fit Hair Fibers into thinning areas. 3. 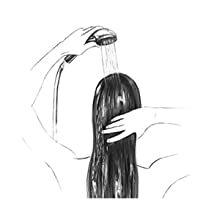 Gently pat hair to disperse Hair Fibers. 4. 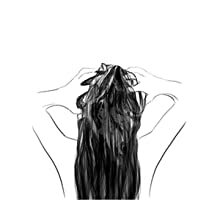 If desired, lightly comb, brush, or style your hair after applying Hair Fibers. 5. For best results, use Fix-O-Fit Settle- All Day Long spray to finish for longer-lasting results. Fix-O-Fit proves to be the best solution for all kind of hair problems and it provides instant hair building solutions for hair related issues. The problem could be of bald patches or just to build the hair fiber and to make it stay for a longer time. FIX-O-FIT Hair Building Fibers, made of colored keratin protein, blend undetectably with existing hair strands to instantly create the appearance of naturally thick, full hair. .
Fix-O-Fit is a onetime solution for all of your hair problems. Whether you want to hide bald patches or just want to make your hair building fiber to stay for longer time, we got solution for all. Fix-O-Fit Hair Building Fiber will help you get the natural looking hair in few easy steps. Fix-O-Fit Thickening Hair Fibres are the quick and easy way to thicken your hair in seconds. Fix-O-Fit Hair Fiber is a one time solution for your baldness problem. The fiber is 100% natural, it does not contain active substance, no preservative, no bactericide..
Fix-O-Fit Hair Building Fibers makes your thin hair look thicker & presentable at all time. © 2016 Fix O Fit. All Rights Reserved.